Pumpkins & DollarWise, from Grocery to Garden! 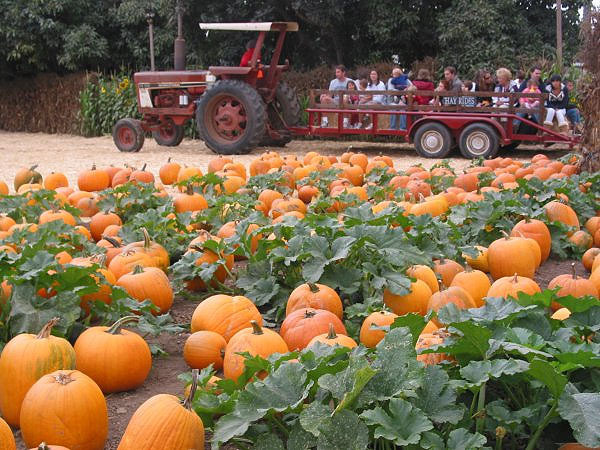 As of Oct 2009, the largest pumpkin ever grown weighted 1,725 pounds! DollarWise – From Grocery to Garden! Adapted from Pat Veretto’s article…. Beans being beans, you can plant the ones that come from the grocery store. Eat half the beans, plant the rest! Beans are seeds and seeds grow. So do whole peas, raw peanuts, popcorn, wheat berries, raw untreated spice seed (celery, anise, sesame, etc. )… well, you get the idea. Vegetables like peppers, tomatoes and fruits like watermelon, have seeds in them that will grow. Eat the food, then plant the seeds of the food you like! Note: Green beans of any kind, or peas in the pod bought at the produce counter, will not grow. They’re “green” – immature seed. If you don’t know the general planting rules for a vegetable, read seed packet at the nursery, or check online. Easy. √ In addition to seeds, the grocery store is a source of tubers like potatoes, yams and fresh ginger, sprouting plants like garlic and onions, and plants you can sometimes regrow, like celery, cabbage and carrots (carrot tops only, for edible greens – you won’t get another carrot). If you’d like to save tomato seeds to plant, first remember that tomatoes from the grocery are hybrids, unless you get heirlooms. Hybrids mean the plant and tomato you get may not be what you expect (but it will be a tomato!). Scoop the seeds from a cut tomato and save with the liquid surrounding them, or mash a whole tomato and let it set at room temperature two or three days, then rinse gently and dry for storage, or plant them right away. Peppers, cucumbers, squash, pumpkin, and eggplant should be allowed to mature before using the seed, as the seed matures along with the vegetable. Planting these can be an adventure, as it’s not possible to know with what or if they’ve been cross pollinated, but try it anyway. Garlic will grow happily in a container on your windowsill or in the ground. Buy fresh garlic and use the largest cloves to plant. Put the unpeeled clove, pointed side up, in light soil with the tip just showing. Keep the soil damp and in a few days you should see a green shoot. You can eat this top, but if you let it grow, it will eventually turn brown and dry up. That means the garlic is “done” – you can dig it up and you should have a whole bulb of garlic, from which you can choose the largest clove and start the process again. If you plant garlic outside, you can leave it over winter for a spring harvest, or plant in the spring for a late summer or early autumn harvest. Did you ever sort through one of those tubs of “onion sets” looking for ones that looked alive? Then you know what a bonus buying onions that are already growing can be! Green onions, the kind packaged or rubber banded and ready to eat, can be put back in the ground and grown to full size onions. Look for onions that have a round bulb because flat or thin bulbs may be another type of onion that never grows any larger, like a winter or spring onion. Set the onions upright in two or three inches of water for a couple of hours before planting, then keep the soil damp until the roots have been reestablished. √ Most full sized onions will regrow if you cut the root end off along with an inch or so of onion. Plant the root in good ground, and keep it watered. It will begin to sprout within a few days and you’ll have green onion shoots, and sometimes a new onion bulb. About the only difference between “seed potatoes” and the eating kind of potatoes from the grocery store is the size – government specifications are between 1 ½ and 3 ¼ inches diameter. Other than that, the rules are that they can’t be affected by nematode injury, freezing or various rots, soil or other damages… I truly hope that the potatoes we buy to eat are of such high quality. Some potatoes are treated to keep them from sprouting – you’ll want the ones that sprout. Look out for the radiation symbol on the package. Irradiated potatoes are dead – they won’t grow. Most sprouting potatoes can be cut to get more than one plant. Just be sure to keep enough of the potato flesh to nurture the sprout until it can develop roots. Plant potatoes when the weather is still cool, barely below ground in light, sandy or straw filled soil. 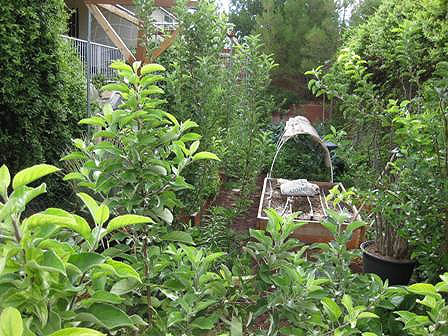 √ Is it cost effective to buy groceries to garden with? Well, you’ll usually get enough seed from one squash to plant 15 to 20 hills. One potato is enough for three to four plants each of which should produce at least a meal’s worth in a poor season. And remember the “seed quality” beans? How much does it cost for a whole pound of beans? Buy local – farmers market, roadside stands – for seeds adapted to our area. Buy organic for untreated seeds! Once you grow your own, harvest the seed of your best plants, specifically adapted to your very own garden! Creative Home & Garden ideas says ‘If you buy some foods, such as horseradish, with the tops (or at least part of the top still attached), you can cut off the top, plant it in the ground, and it will reproduce another horseradish root just like the one you bought. The next year it will divide, and soon from only one top you will have an entire patch of horseradish. And that’s a bargain. When was the last time you bought something, ate it, and still had 200 of them left over?